Tencent Holdings slid in Hong Kong on Thursday after Asia’s most valuable company warned that growing investments in content and technology will compress margins. Its shares fell 2.4 percent in early trade, shaving some of the gains that’ve ranked it among the world’s best performers over the past decade. The Shenzhen-based company, in which South Africa’s Naspers owns a one-third stake, plans to keep spending on areas from artificial intelligence to video that it says may weigh on short-term profitability but anchor long-term growth. On Wednesday, the Internet giant reported net income almost doubled to 20.8bn yuan (US$3.3bn) in the three months ended December, beating projections. 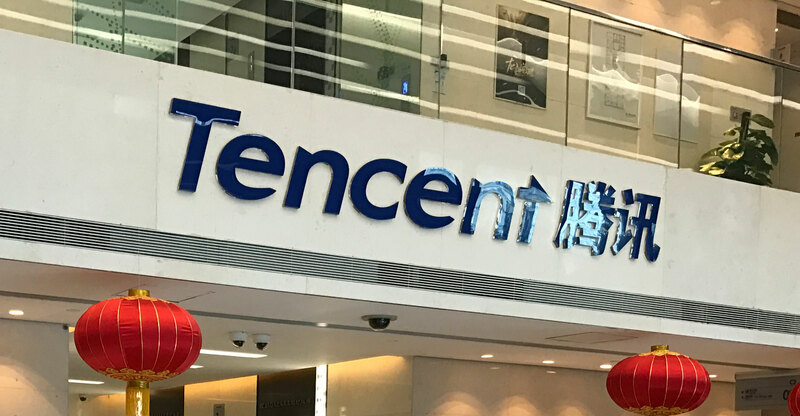 Tencent’s business revolves largely around its vast social networks WeChat and QQ, the twin platforms through which more than a billion people consume games, news and online entertainment while paying for a plethora of real-world services. CEO Ma Huateng is now angling to grab a larger slice of an advertising pie dominated by Alibaba Group, while investing in new areas such as financial, retail and computing services. “Tencent needs to invest in new business; it would help the company build a better ecosystem infrastructure to support growth, but it will hurt margins in the short term,” said Benjamin Wu, an analyst at Shanghai-based consultancy Pacific Epoch. Analysts at Credit Suisse and Citigroup lowered their earnings estimates for Tencent after the results. Tencent’s quarterly profit included gains in the quarter of 7.9bn yuan thanks mainly to the initial public offerings of Sea, Sogou and Yixin Group. Those are just three of the 600 companies the company has invested in. Quarterly revenue rose 51% to 66.4bn yuan but fell short of projections for 68.6bn yuan. Revenue from the Value Added Services unit, which includes online games and messaging, climbed 37% but online advertising sales surged a much quicker 49%. Costs, however, soared 72%, reflecting the expense of acquiring video and music content to keep users hooked as well as investment in new businesses such as cloud computing. Executives told reporters on Wednesday that spending was crucial to the longer term.